As Duke star Zion Williamson appeared in his first game since he suffered a Grade 1 knee sprain by blowing out his shoe in a Feb. 20 loss to North Carolina, Nike did everything in its power to ensure the Blue Devils phenom would avoid a repeat occurrence. 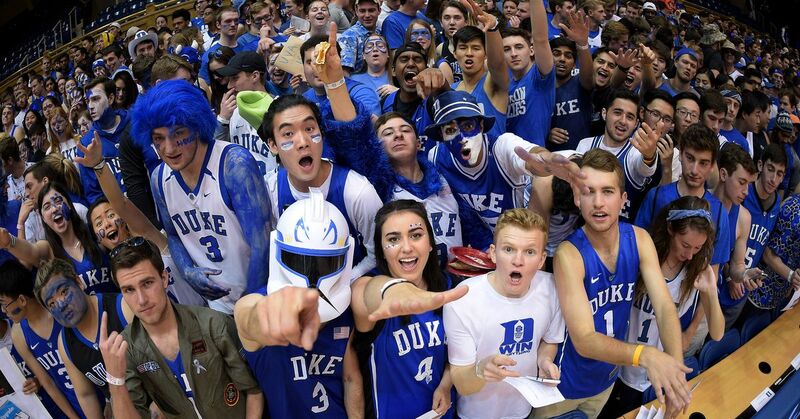 During his first game in nearly a month, Williamson led Duke to an 84-72 victory over Syracuse in the quarterfinals of the 2019 ACC tournament. He paced the Blue Devils with 29 points, 14 rebounds, one steal and five blocks on 13-of-13 shooting from the field. After making the switch from PG 2.5s to custom Kyrie 4s, Williamson called his latest sneakers "incredible," per Dan Wolken of USA Today. That's good news for Nike, which put a lot of effort into making sure the shoes held up. Duke coach Mike Krzyzewski added afterward, per Wolken, that Nike sent "their top people" to campus the day after the blowout incident. Those employees then made a trip to China to oversee production of the sneakers. According to Wolken, Coach K attributed the Feb. 20 blowout to "wear and tear" and noted the star will now be switching shoes more frequently. The Kyrie 4s passed their first test, but the season is far from over. Williamson will be back in action Friday night with a trip to the ACC championship game on the line as he gets his first true meeting with archrival North Carolina.